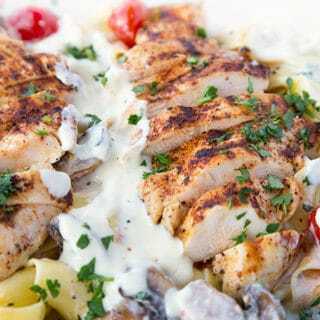 Make my quick and easy Jarlsberg Chicken in your kitchen tonight and spice up your weeknight meals. 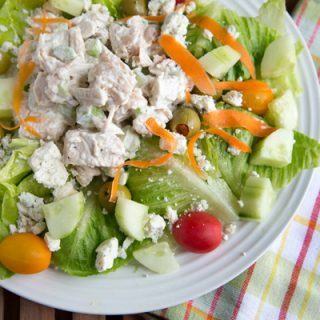 Your family will love this tasty restaurant style dish! 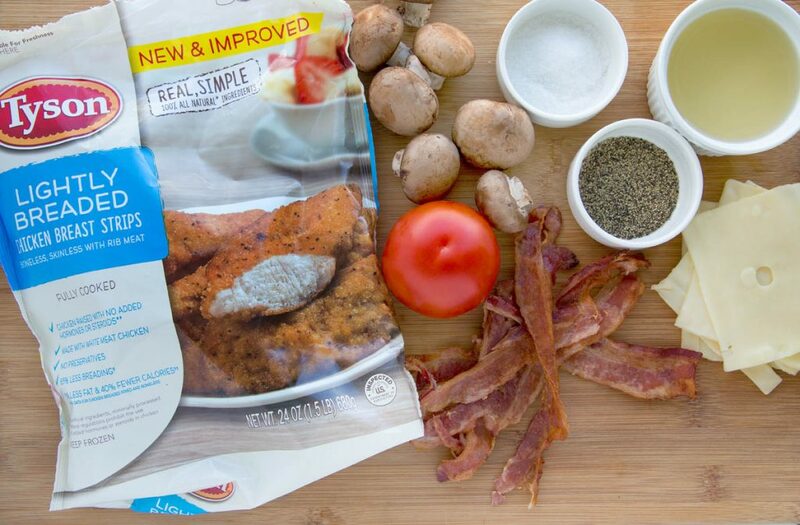 I was recently asked to cook up some deliciousness by my friends at Tyson Foods, Inc. But as usual, all opinions, text and deliciousness are 100% mine. 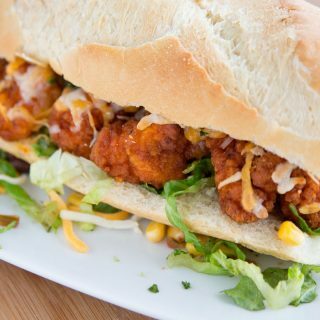 Weeknight meals have just gotten easier too, thanks to Walmart and Tyson® Chicken! With all the great choices that Tyson® offers with a variety of forms and breading types at your local Walmart. 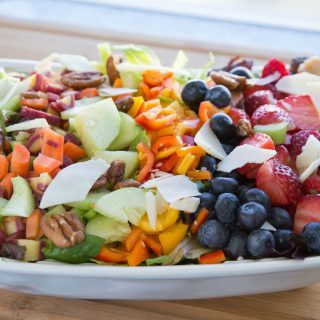 You can serve up deliciousness at a moments notice. Variety is the spice of life, and these easy to use products with all natural ingredients can really help out a busy lifestyle. 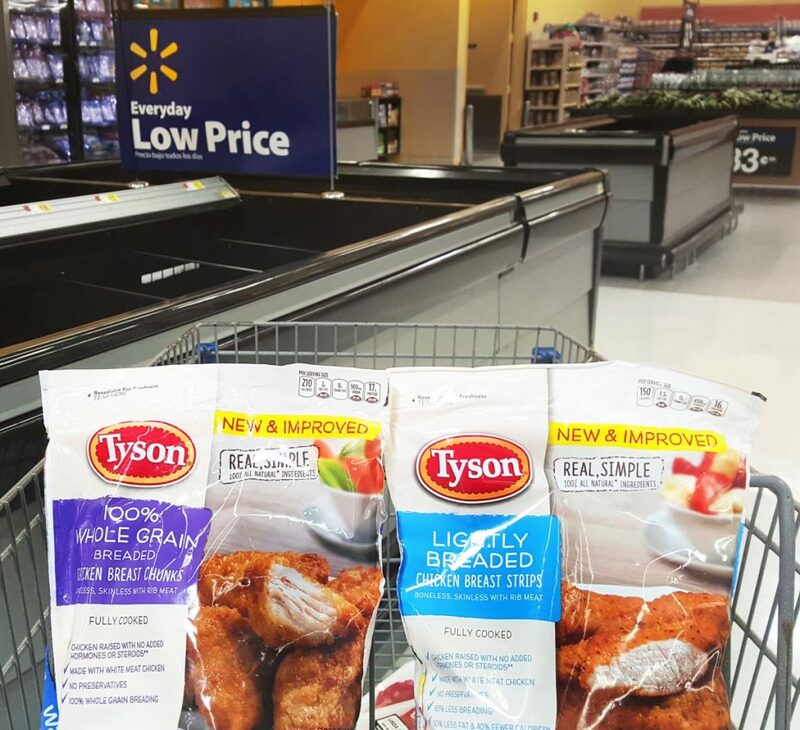 My first stop was my local Walmart to pick up a few of our favorite Tyson® products. 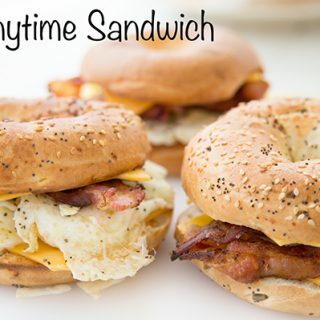 You can find something for everyone, including Gluten Free options. 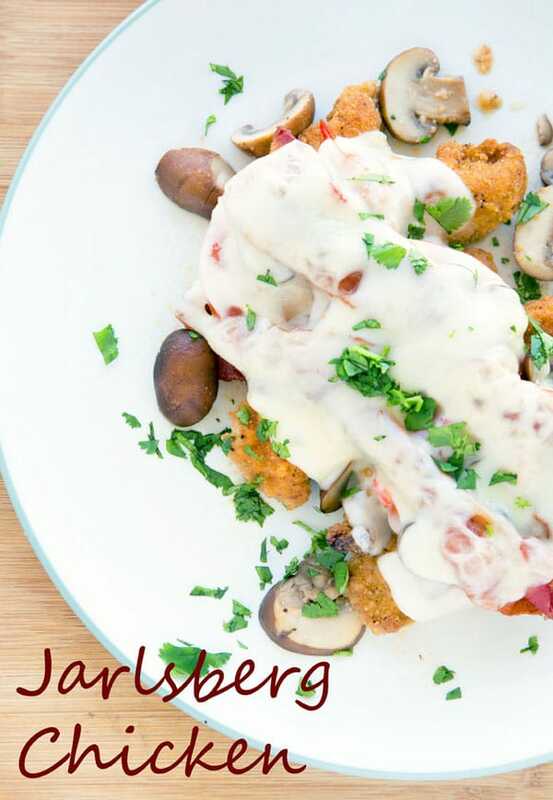 Let’s gather the ingredients for our quick and easy weeknight meal – Jarlsberg Chicken. 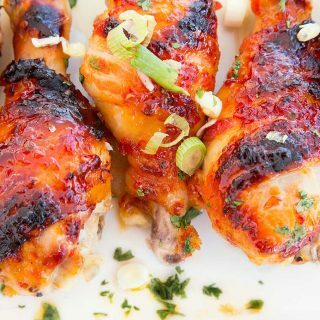 Make your bacon in the oven, while you’re heating up your chicken. It’s Just a few minutes in a sauté pan for the mushrooms and tomatoes, bringing everything together in a baking dish. Top with cheese and back in the oven for a few minutes to melt the cheese, and dinner is served! 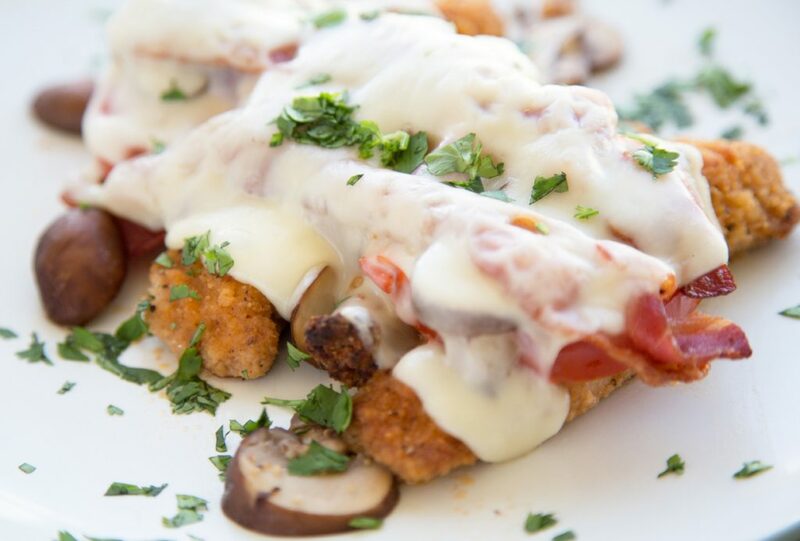 My Jarlsberg Chicken is a delicious way to change up your boring weeknight meals. Place raw bacon on a foil lined baking sheet pan and cook for about 20 minutes (or until fully cooked) *make sure the baking pan will not let the grease from the bacon drip off the pan! Place chicken in another baking dish and place in oven to cook for 20 minutes while the bacon is cooking. While bacon and chicken are cooking, heat a saute pan. Add a little olive oil to pan and saute mushrooms for 3-4 minutes until done. Add tomato slices to pan and saute for just 30 seconds. Season with sea salt and black pepper. Add chicken stock to pan and remove from heat. 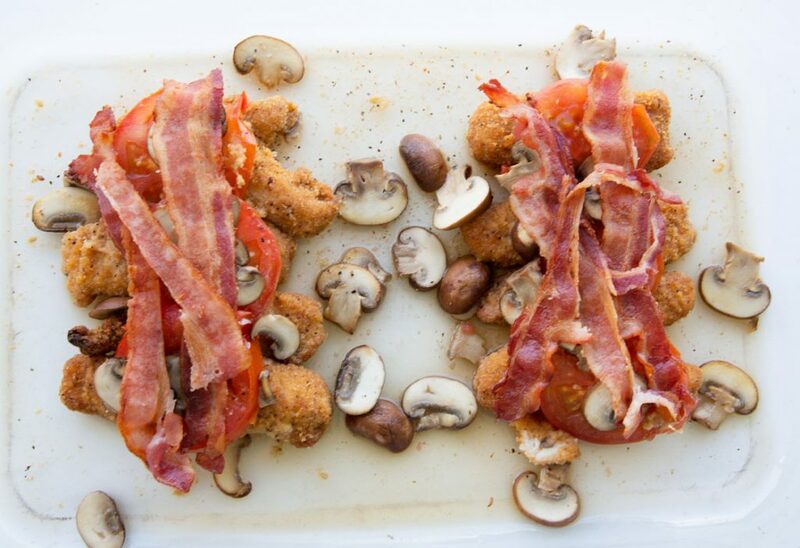 Arrange chicken strips on baking dish and top with tomato slices, bacon and a few mushrooms. Place cheese slices on top of everything. Add remaining mushrooms and chicken stock to baking dish. Bake for 7-10 minutes or until cheese fully melted.